Attritors or stirred ball mill is a simple and effective method of grinding and dispersing fine and homogenous material quickly and repeatedly. 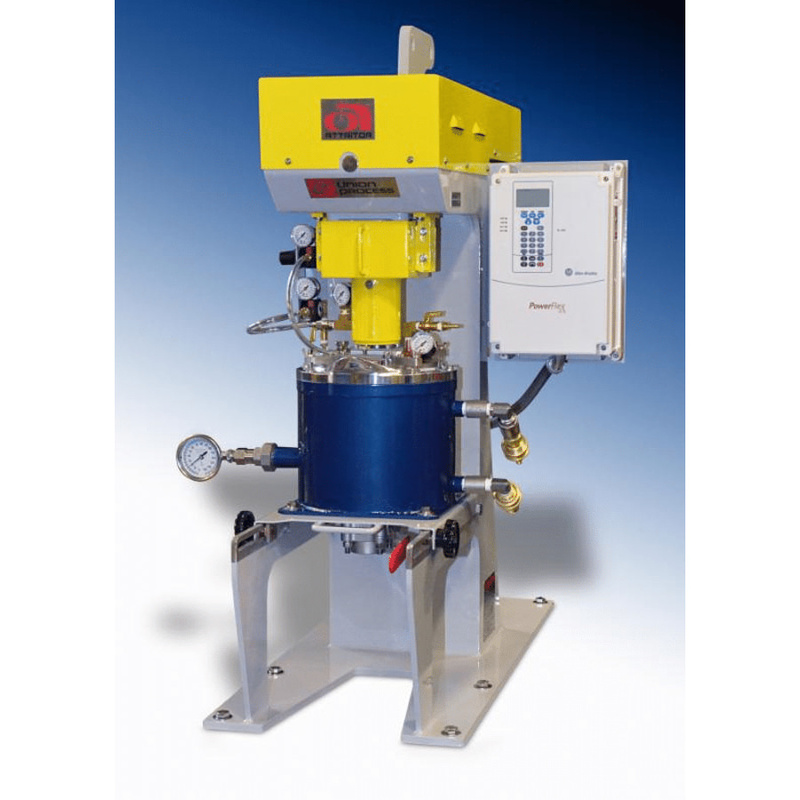 The Attritor can operate with wet or dry grinding, introduce inert atmospheres, operate at controlled temperatures, and vary grinding speed, change media type and sizes. Results are repeatable from one grind (batch) to another so the attritor is ideal for formulating, quality control, pilot plant and scale up studies. The material and media are agitated by a shaft with arms rotating at high speed, this causes the media to exert both shearing and impact forces on the material resulting in an extremely fine material measured in microns or fractions of microns. The laboratory scale attritor is much faster than conventional mills; the unit utilizes carbon steel, stainless steel, chrome steel, tungsten carbide and ceramic balls as grinding media. No premixing is necessary and ingredients can be added at any time during the grinding process. Common applications are Chemicals, Ferrites, Metal oxides, minerals and coal and reaction and mechanochemical milling. Tank slides forward and tips @ 90 degrees for media discharge and fast cleaning. VFD – Variable speed drive system.